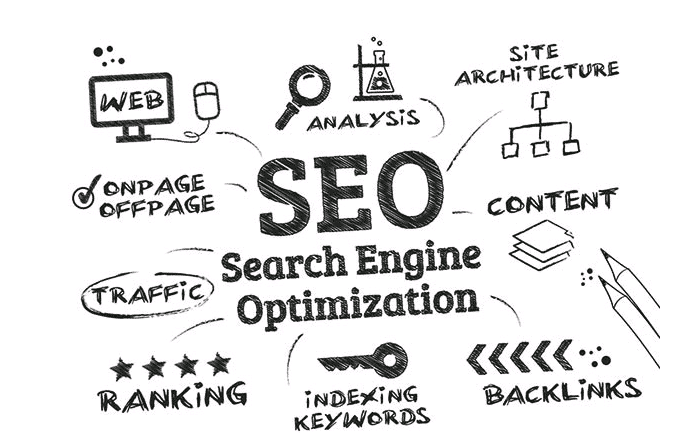 “Keeping up with the latest SEO trends,” is the pursuit that overwhelms a lot of website owners and some SEO consultant in the digital space. The competition is getting hard every day and the race of ranking further and maintaining the online presence is difficult than ever. The reason behind brands to take SEO seriously is that they want to gain a considerable amount of traffic to their website. And as a result they have to stay on top of the search engine ranks to gain the traffic. But, is your SEO strategy really working and are you getting the expected amount of traffic? Here are a few factors that could be the reason behind the failure of your SEO strategy! One of the major reasons for the failure of many SEO campaign is ‘Content.’ Many website owners have not realised the value of quality content. The traffic of a website is determined by the viewership percentage of the target customers. Your website will only be visited by the people of the internet, if they find the relevant content that they are searching for in your website. Therefore, make sure to put good contents on your website. If your content is not unique, and contains grammar errors or plagiarism, your audience might dump your website and they might not visit your website again. So, get the help of an experienced SEO expert, who will help with quality contents for your website. Did you know – your hosting provider has a great role in determining the search engine performance of your website? If you are not getting a reliable and competent web hosting for your website, you are actually killing the search engine ranking of your website. Hence it is important to decide on the right hosting and investing in a reliable service provider is the best for your website. So, consult with your expert SEO agency Sydney, before making the choice. The link profile of your website has a great role in determining the survival of your website, amidst the algorithmic impacts. Hence, building the right backlinks for your website and adding the hyperlinks, that will attract targeted audience to your site and earning backlinks from the website, will make your website thrive. But, make sure that your get only quality backlinks and not any spammy backlinks. Google is actually smarter and it will eventually pose a penalty on your website if your strategy results in spam. Failing to abide by the algorithmic updates, that Google makes every time, might lead to the failure of your SEO strategy. This might push your website ranks to the bottom, eventually resulting in less targeted visitors. Google changes its algorithm every time, and you must never ignore any changes, as it will affect your website’s result in many ways. Hence, get the help of an SEO consultant who stays in par with the algorithmic updates! Actually this is the easiest justification, that your SEO campaign is not delivering the expected results. If you are still following – reciprocal linking, keyword stuffing or behind a flat UR structure then you are slowly killing the Search Engine ranks of your website. Well, there could be many reasons, as to why your SEO campaigns are not bringing in relevant traffic. However, the reasons listed above are just the common ones. Hence make sure that you work with the right SEO agency Sydney and find out the actual reasons for the problems and implement and actionable SEO action plan that will work. This will help with the flow of relevant and considerable number of traffic into your website, gradually.